Bandhavgarh National Park is one of the popular national parks in India, located in the Umaria district of Madhya Pradesh. Bandhavgarh National Park is located in Madhya Pradesh state of India. This park is among the best national parks of India where Asian tigers can be easily viewed. Area of this park is of around 448 sq km. Bandhavgarh Hill, at the height of 811 meters above the sea level, is located at the centre of the park. This hill is surrounded by sloping valleys. The state of Rewa owes its origins to the foundation of a state dating to 1234 by Vyaghra Dev, a descendant of the Vaghelas of Gujarat. He married the daughter of the Raja of Ratanpur, bringing Bandhogarh (now known as Bandhavgarh ) into the family as her dowry. The legendary fortress of Bandhogarh fell into Mughal hands in 1597, almost by accident. At the death of Maharaja Virbhadra Rao in 1593, his minor son succeeded and was sent to Delhi for his own safety, the emperor took advantage of his absence to send one of his loyal nobles as temporary governor. Once he had taken control of the fort, the Maharaja’s nobles and officials were expelled and the fort annexed by the Mughals. On his return to his remaining domains, H.H. Maharaja Vikramaditya was forced to establish a new capital at Rewa, from whence the state took its name. The “jungle” is mostly sparse and dry undergrowth with large areas of woodland. The Park is set around the “castle” – a huge outcrop of rock with a massive plateau top. The whole area is very dry and dusty. Covering 450 sq km, Bandhavgarh is situated in Umaria district of Madhya Pradesh among the outlying hills of the Vindhya range. At the center of park is Bandhavgarh hill rising 811 meters above MSL. The lowest point in the park is at Tala (440 meter above MSL). Bandhavgarh is densely populated with other species. Bandhavgarh is sided with great cliffs and eroded rocks and on its highest point stands “Bandhavgarh fort” thought to be some 2,000 years old. Around the fort are numerous caves containing shrines and ancients sanskrit inscription. Although Bandhavgarh is a relatively small park in the last few years this former game reserve has become one of India’s most prominent National Parks. The major reason for all the interest is Bandhavgarh’s high density of tigers (The Bagh), which roam the mixed forests of in search of an easy kill. It was the preferred hunting place for the Kings of Rewa. The density of tiger population at Bandhavgarh is the highest known in India–60 Tigers at 450 sq km area in Bandhavgarh National Park. This is also White Tiger country. The last known as captured by Maharaja Martand Singh in 1951. This White Tiger “Mohan”, is now stuffed and display in the place of Maharajah of Rewa. 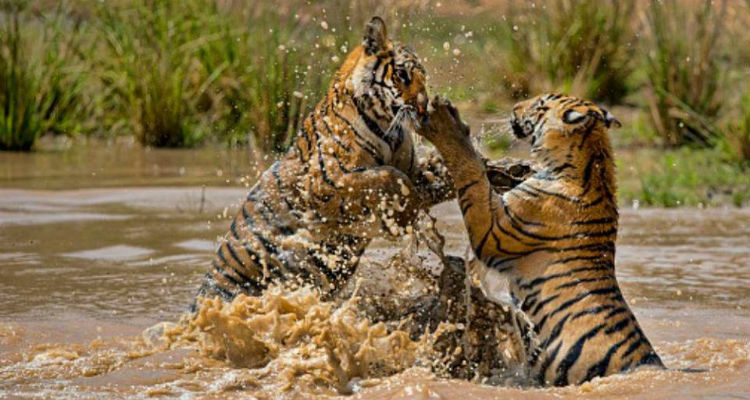 The tigers (The Bagh) have not only bolstered the local population by breeding successfully, they have also brought international media attention to the park and the plight of the Royal Bengal Tiger. While the Star Attraction is the tigers but there is a host of other wildlife; 22 species of mammals and 250 species of birds. Leopards and sloth bears are the other two extremely rare animals, seen only by chance. 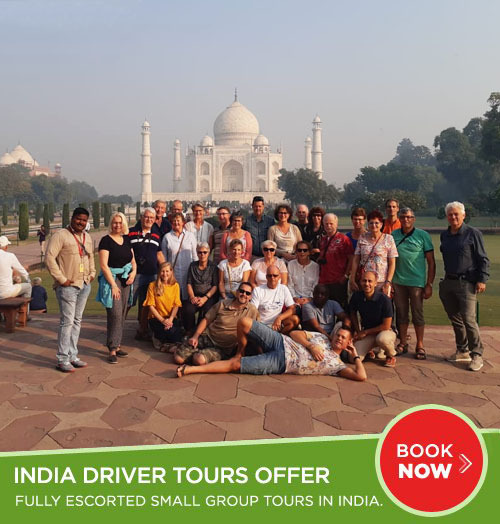 Other wildlife includes spotted deer, samba, Langur and Red faced Monkeys, Jungle Cats, Bengal Fox, Mongoose, Striped Hyena, Bandicoot Rat, Asiatic Jackal, Wild Boars, Nilgai, Chausingha, Chinkara, Indian Bison and of course, the “domestic” elephants. The vegetation along streams and morasses is rich in bird life, and include the oddly named “Changeable Hawk Eagle” and storks. More common ones are little grebe, egret, lesser teal, white eyed buzzard, black Kite, crested serpent eagles, Black Vulture, Egyptian vulture, common peafowl, red jungle fowl, dove, parakeet, king-fisher, Indian roller and the Indian National bird the Indian peacock. Reptilian fauna include cobra, krait, viper, rat snake, python, turtle and a number of lizard varieties including varanus. The vegetation is chiefly of Sal forest in the valleys and on the lower slopes bamboo is found throughout the park. Bandhavgarh experiences climatic conditions that vary to opposite extremes. In winters, the bitter cold forces the visitors to put on multiple layers as protection against the biting cold. Early morning rides can be in temperatures that dip about four, once you take the wind chill factor into consideration. In the summers, it changes drastically to the opposite. It now feels uncomfortable to even sometimes put on the cotton t-shirt. The temperature in the winters varies from 4 to 20°C between November and February. In the summers, the temperatures move to the other extreme and can go up to 48 degrees centigrade. Towards late summer, it is also advisable to carry some protection, for yourself and for your camaras, from rain. Bandhavgarh has an average annual rainfall of 1200 mm. The rains here give very little prior warning and and it is preferable to be prepared for your own protection, as well as for your equipment. These rains, however, bring good respite from the blistering heat. A single shower can make temp eratures fall from 45°C to 30°C. The main monsoon season mostly begins only once the park is closed from 1st July to 15 October.